Not-for-profit Road Scholar is the world’s largest and most innovative creator of experiential learning opportunities. We are proud to share our beautiful region, with people from all over, as the sole provider of Road Scholar in Southwest Virginia. 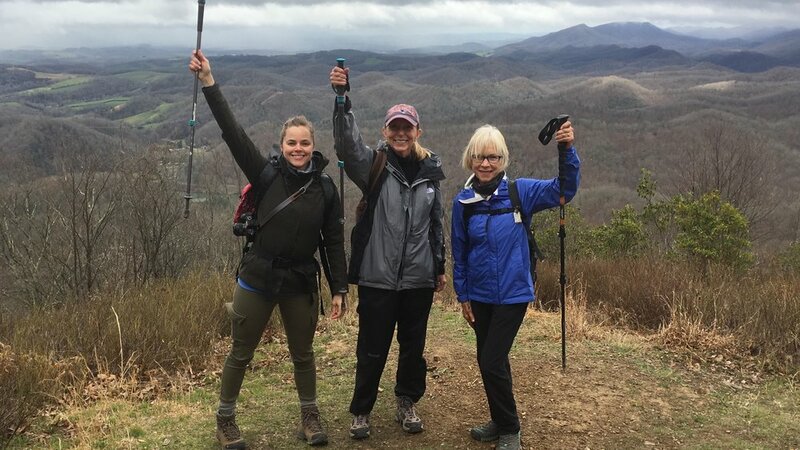 Lace up your hiking boots and venture into the striking scenery of Southwest Virginia on an at-your-pace hiking adventure that includes yoga, bird walks, theater and more. Bike the Virginia Creeper Trail — a rail trail through forest and over restored trestles. Learn about ecology and historic towns and attend a performance at Barter Theatre. In the Appalachian Highlands of Virginia, enjoy performances at the famous Barter Theatre, learn the secrets of theater arts from directors and actors and explore backstage. Bike the Creeper Trail and kayak the North Fork of the Holston River with experts. Learn about regional ecology, historic towns, unique sites and attend a performance at Barter Theatre. Tie your fly and cast your line to fish for brook, brown and rainbow trout in the mountain-fed streams of Southwest Virginia, enjoying small-group instruction from an expert fly fisher. Learn great choral music, practice with experts, enjoy a theater production and get inspired by the natural beauty of the Appalachian Highlands on this music-lover’s adventure.